Nicolás currently sits on the board of several technology companies: Bem Health, ComparaOnline, Creditas, GoIntegro, Grupo Zap, GuiaBolso, NotCo, NuBank, NuvemShop, QuintoAndar, Restorando. Before launching Kaszek Ventures in 2011, Nicolás was CFO since the year 2000 at MercadoLibre (Nasdaq: MELI), Latin America’s largest online commerce and payments platform, where he led its $333 million IPO in 2007. Prior to Kaszek Ventures he was an active angel investor, and in 2011 received the “Endeavor Emerging Markets Mentor of the Year” award. 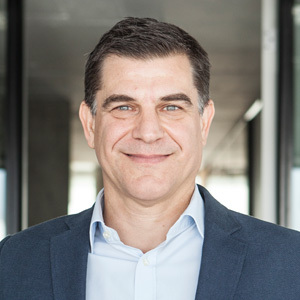 He is currently a member of the board at Endeavor Argentina, Endeavor Global and LAVCA, and a member of the advisory board at Universidad Torcuato DiTella. In 2018 he was distinguished by EY as Master Entrepreneur of the Year representing Argentina. Nicolás received an MBA from Stanford University in 1991 and graduated from the University of Buenos Aires with a degree in Economics in 1988. In 2008, Nicolás was invited to the Stanford GSB as the Arjay Miller Distinguished CFO Lecturer.